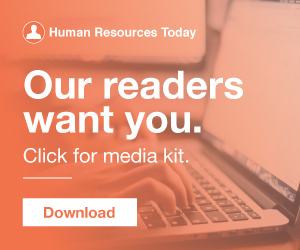 Are HR's diversity and inclusion strategies proprietary information? #ECTalent - Doug Baillie, Unilever on talent and the business ~ HR. Let’s Get #ERE16 Tattoos on Bourbon Street! Recruiting can sometimes feel like a thankless job—and we know all about the time, effort, and heart that goes on behind the scenes into finding and keeping talent. Now, for the first time ever, there is a day set aside to celebrate recruiters, hiring managers, sourcers, and everyone who makes an impact on the talent acquisition (TA) profession. Like many of you, most members of the exaqueo team first earned their stripes by working in the trenches of recruitment. Parker, who is responsible for leading Disney’s overall human resources strategy, global talent acquisition, leadership development, diversity and inclusion, and many other initiatives for the company’s 199,000 employees around the world, has transformed the HR function, and its impact across the company. How will work continue to be disrupted in the years ahead? What does this mean for HR, and how will the changing nature of work impact the employee experience? Q & A with CDM Smith CHRO, Carlos S. Known for its expertise in sustainability and water technology, CDM Smith customers are as diverse as the 166-year-old brewer, Anheuser-Busch, the drought-prone city of Houston and an infrastructure-challenged Native American reservation. Gatti: How does CDM Smith’s commitment to innovation affect its talent management strategy? This influx of young talent infuses our team with up-to-date thinking, energy and technical acumen. The story I wanted to highlight is about a big tech company fight over an employee non-compe te, but not one of the ones we expect - surrounding some star engineer working on the latest VR or AI tech - it centers around HR, more specifically, around a Chief Diversity and Inclusion Officer heading to Microsoft from IBM. But these companies will apparently do whatever it takes — including launching a legal fight — to hire one type of person: a Chief Diversity Officer. CHRO Jo Mason explains DXC Technology’s agile approach to attracting and retaining talent. HRO Today : What are the keys to DXC’s talent strategy? And an element that is critical to this is understanding the talent we already have and the talent we need. The panel, moderated by conference co-chair Steve Boese, included (from left to right in the photo above) Jayne Parker, senior executive vice president and CHRO at the Walt Disney Co.; Fasolo said great HR means “having a talent mindset at all times. The support of the CHRO and other key leaders can go a long way in ensuring organization-wide interest in people analytics, but you will need other enablers to evangelize adoption. Cognitively diverse teams typically outperform cognitively homogenous ones —and HR data science leaders know it. Go connect with Molly, she’s a brilliant TA leader and if you’re at CHRO in healthcare with a crappy TA team, back up a dump truck of cash on Molly’s door and talk her into coming over to your team! Also, an amazing 28% of these hires were diverse candidates! LinkedIn’s Talent Connect conference was held in Las Vegas last week. LinkedIn’s annual Talent Connect conference , a gathering leaders in HR, recruiting, and talent acquisition, was held in Las Vegas last week. Here is how this might look for different groups within the HR function: Diversity : finding the unseen patterns that actually prevent females from entering leadership roles. Talent Acquisition : gaining push-button visibility across the CRM, ATS and HRIS systems. Whether you are looking to hire or become a People Analytics Leader for your organization, I encourage you to continue reading and download this job description for use in your talent acquisition efforts ! In the coming weeks, we’ll also release job descriptions for CHRO and HRBPs. We will have another great town hall featuring Dr. Peter Cappelli of the Wharton Center for Human Resources and Alina Polonskaia, global leader of the diversity and inclusion practice for Korn Ferry. 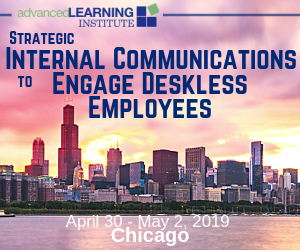 We will have onstage interviews with the CHRO of T-Mobile, Liz McAuliffe, and the CHRO of Aflac, Matt Owenby (yes, we even have questions for the duck). We will be recognizing extraordinary leaders in our annual CHRO of the Year Awards Gala (learn more about our finalists here). During the presentation, Sherry spoke about the importance of building a strong employment brand and talent community, and how word of mouse is quickly replacing word of mouth when it comes to recruiting, along with other human capital trends impacting retail automotive. Given the historically low unemployment rate and competitive hiring market, successful dealers recognize the importance of rethinking their recruitment marketing and hiring efforts to attract top talent. announced the appointment of Erik Lewis as its first CHRO. Google’s focus on diversity. HR topics like workplace culture, compensation, and diversity often go viral. A Manager’s 10-Step Guide for Hiring Top Talent , by Lou Adler, CEO, The Adler Group, Inc.com. Personalized Outreach: Yahoo’s Secret to Talent Acquisition Success , by J.T. The Recruiting Automation Summit is bringing together the most progressive minds in talent acquisition and artificial intelligence, as well as analysts, authors and technology experts to explore how automation is reshaping the way companies hire. How to understand your CHRO. 1 global online influencer in talent management. #6 Fistful of Talent. SuccessFactors Performance and Talent Management Blog. ECTalent - Doug Baillie, Unilever on talent and the business. ECTalent - Doug Baillie, Unilever on talent and t. Talent management. (75). 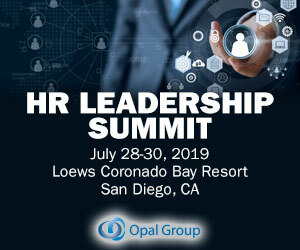 The HR women in this list include numerous leaders across a number of different industries and organization sizes, who have a great wealth of experience in developing and executing strategies, managing talent and improving how HR is operating alongside regularly sharing articles, insights and open discussions into best practices. Allison Kruse , Director of Social Media | Employer Branding | Content Strategy | Talent Acquisition | Digital Strategy. Build Talent. Whether you level up the skills of an existing HRBP Manager or hire outside your organization, here are the responsibilities of this crucial role: Link the business strategy with talent strategy. They drive the enterprise-wide talent agenda through the people managers they collectively serve. Can’t miss keynotes, panels, sessions and more: How HR Technology Can Foster a More Diverse, Inclusive Workplace. Kris Dunn, CHRO | Kinetix. Richard Monastersky, VP Talent Acquisition | CBS. Enterprise-Level Talent Acquisition Technology: The Practitioner's Perspective. Amber Grewal, VP Global Talent Acquisition at IBM, explained that recruiters now are focusing more on how to extract the most crucial jobs in the business, and focusing on utilizing data to assist in talent sourcing. Diversity and inclusion is more important than ever – as science is proving more and more that it is crucial for innovation and business success. More importantly, diversity and inclusion is key for a more advanced and global world. Whether you are looking to hire or become a People Analytics Leader for your organization, I encourage you to continue reading and download this job description for use in your talent acquisition efforts ! It could be human resources, information technology, HRIT, HR operations, talent management, and even organization development – but ideally, in order to produce the most value to the business, they should report to a C-level position. Talent work is done best when supported from the top – CEO, President, and CHRO. Developing and engaging leaders is one of the most important initiatives that companies have and is also one of the most difficult. What comes with being a CHRO at an HR service partner organization? As the CHRO of any organization, running the management of human capital is no easy feat. I equate being the CHRO for an HCM service provider to the famous M.C. Talent Management System : A system that helps manage all parts of an organization’s talent, including those that aren’t yet hired (recruitment) and those that are (performance management, development and compensation). Talent Acquisition v. Talent Management. Nextchat #HR #HRtribe #SHRM18Blogger #SHRM #SHRM18Steps #SHRMtalent #hrtech #HROnPurpose #worktrends #HRHighSteppers #HRSocialHour #DTHR #Leadership #SHRMStore #CHRO #FutureofWork #Inclusion #Workplace #SHRMTech18. chucke14 : Head of Global Talent Acquisition – Microsoft. Josh_Bersin : Corporate Talent, HR, & Learning Analyst, Founder of Bersin by Deloitte, research and advisory firm focused on management, leadership, HR tech. AndyH_SThree : Investment Director @sthreecareers Product Director @showcaser Strategic Advisor @talent_deck Views are my own. HRTech #FutureofWork #AI #HCM #Leadership #Recruiting #WomenInTech #HRTechnology #Digitalworkplace #TalentMobility #CHRO #PeopleAnalytics #HRTechExpo #EmployeExperience #WomenInBusiness #Analytics #Chatbot #Blockchain #EmployeeExperience. Talent advisor. Love all things Talent+Tech.